this is my first post so I hope it is categorized properly. I have RT 5.5 and am using it for Pixel Shift processing of a RAW .DNG file. 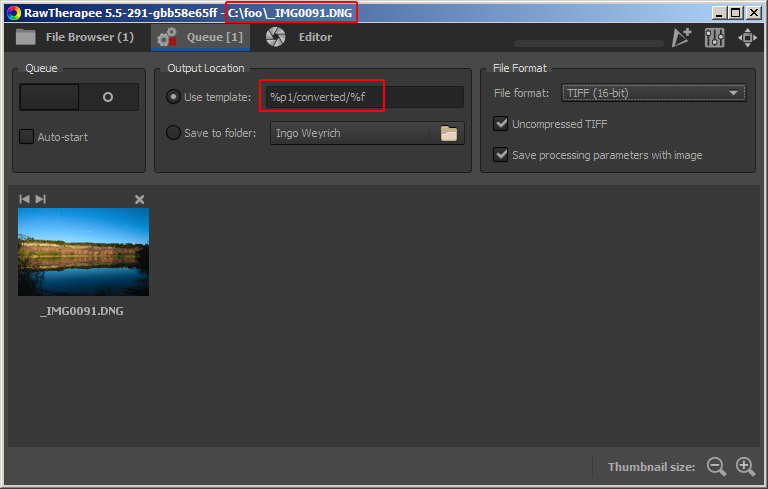 My issue is when I try to save it to a 16 bit TIFF file to a folder, for further editing in LR, LR cannot find it. when I go into the folder there is a file with a .dng.pp3 extension. a) Are you on Windows of some sort, or a Mac of some sort, or some kind of Linux? Which? 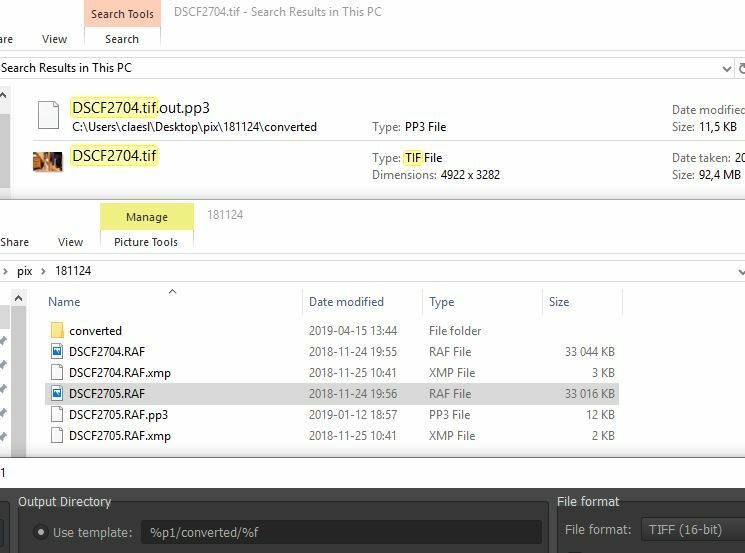 b) Take a look into the folder where you found the pp3 - do you happen to have another folder in there, entitled converted? What do you find in that folder? c) Why do further editing in LR? What does that give you that you cannot find in RawTherapee? @ngrillot Welcome to the forum! Like @Claes said, a bit more info about your situation would be helpful. There are a number of things that could be happening. LR might need to refresh its folder view. LR might not recognize that TIF file. (RT tries to be compliant but also tries cool things too ). LR cannot read pp3 sidecars or RT only tags. Then the tiff should be in c:\foo\converted when the queue processing is completed. c) Familiarity. I can operate very quickly in LR with all functions except Pixel Shift conversion. I am sure I will eventually learn Raw Therapee. b) Take a look into the folder where you found the pp3 - do you happen to have another folder in there, entitled converted ? What do you find in that folder? the only files in the destination folder were the pp3 files. Could the issue be that the destination folder was the original folder with the original raw DNG files ? a) See heckflosse’s reply, above. b) Screen dump of YOUR Output Location setting, please. c) Would you remember the filename of the (original) image you developed? I can post up this evening EDT. Mid window = the folder from where I opened the RAW file (DSCF2704.RAF). As you can see, a new folder (converted) has been created. as well as the search result, showing in which folder it has eloped to.